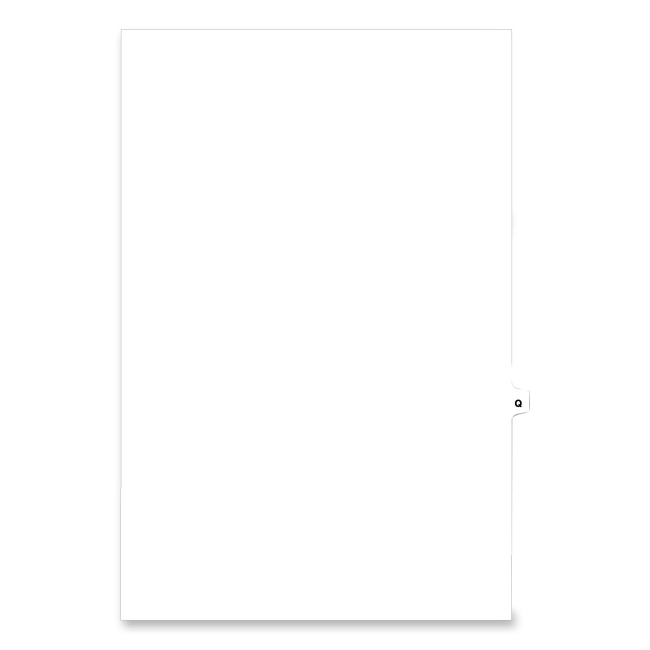 Legal Exhibit Index Divider feature heavy-duty unpunched stock with laminated tabs labeled with individual letters. Tabs are laminated for extra long life and come unpunched so they may be used in a variety of binding systems. Offers Helvetica Bold type. Interchangeable with Avery style exhibit dividers. 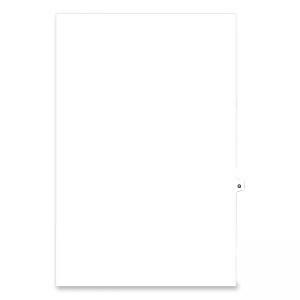 Letter size index divider have 1/26 cut side tabs. Made of recycled stock with a minimum of 30% post consumer material.